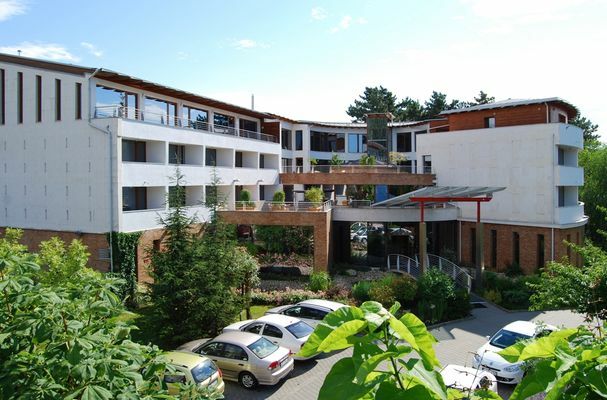 Wellness Hotel Residence**** Siófok is one of the most beautiful and newest hotels of the southern shore of Lake Balaton. The impressive building, which also possesses some unique architectural features, is located in the residential area 150 m from the lake. The 56 spacious, elegant, air-conditioned rooms of Residence**** have a balcony, and they are equipped with comfortable beds, minibar, telephone, satellite television, safe, hairdryer and shower. The comfortable relaxation of the guests is ensured by the following services of the hotel: indoor adventure pool, children's pool, bubble bath, Finnish and infra sauna, steam and aroma cabin, hydromassage, adventure shower, Kneipp-trampler, fitness room, solarium, beauty island, hairdresser, manicure, chiropody, massage, children's playroom, air-conditioned conference and section rooms, free time program options. Sport loving guests can find a wide range of offers for swimming, water gymnastics, fitness training, different aerobic movements, medical walks, running, bike hiring. In the hotel particular attention was paid to the establishment of conference and section rooms. 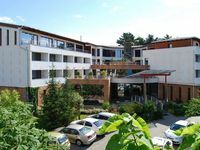 The nature of the hotel, its unique design, special interior solutions, air-conditioned rooms in different sizes and large balconies all make it possible to organise well-arranged conferences and events based on unique concepts. The five rooms equipped with high-tech devices of Hotel Residence**** result in a capacity exceeding that of the hotel and the communal rooms. The air-conditioned, a la carte restaurant of Hotel Residence**** has a capacity of 150 persons. The guests can enjoy Hungarian and international gastronomy specialities by the fireplace or in nice weather in the Mediterranean style atrium. The hospitable family management with 25-year-old experience in gastronomy and tourism guarantee that all guests will enjoy their stays. • Half board is available at 4900 HUF per person. • Full board is available at 8900 HUF per person. • Using the Internet connection costs 0 HUF per day. • Children under 4 stay free in their parents' room. • Pets are allowed for an extra charge of 7800 HUF per day. • The hotel holds the rooms only until 17:00 without valid credit card details.